Come & join us for a creative afternoon to help complete a Wall Art project started by Meg Wallace. She knitted a beautiful frieze with lots of little houses/buildings that are ready to be personalised and stitched on, with suggestions made to add a pier, seagulls, fish…. Please bring along your sewing needles/basket and any buttons, material, sequins etc that you might like to use to make this a Collieston work of art! I am sure we will have plenty to share if you don’t have any to bring. Entry: Donation of £1 each toward hall rental. Any profit will be donated to the Pier Group. Birds were the topic of the evening at the April meeting of the Collieston & Slains SWI. We were pleased to welcome Mr Moray Soutar to our April meeting. 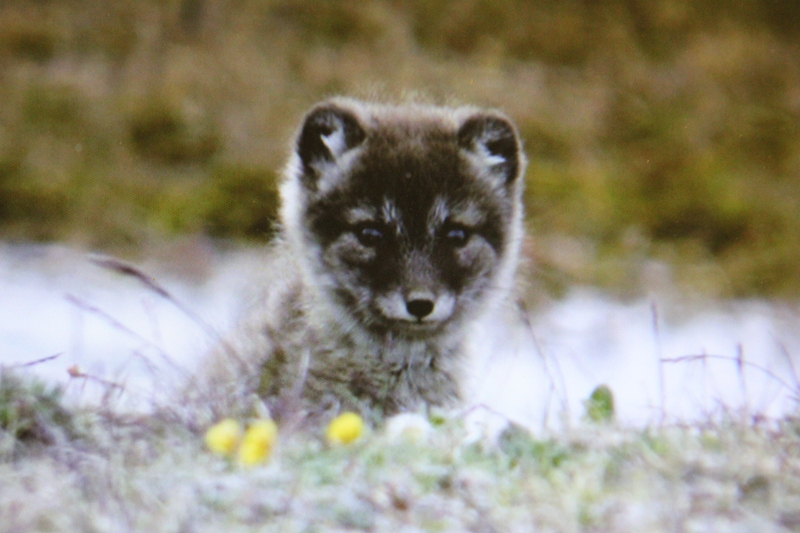 He shared with us stories of his recent visit to Eastern Greenland, where as a volunteer researcher, Moray helped collect data about the breeding habits of a population of Sanderlings. The Sanderling, occasionally sighted on the Ythan, does not breed in the UK. It is a winter visitor and can also be a passage migrant in both spring and autumn as it journeys to and from its high Arctic breeding grounds. By means of a power-point presentation we shared insight into the hardships endured by Moray and his fellow researchers as they lived day-by-day in this challenging environment. The teams of International Researchers were there to collect data about the flora, forna and local environment. Moray, after describing some of the ever-present threats and dangers from resident wild animals, concluded his presentation with the following endearing picture. It was also the AGM of the Institute and a new committee for 2015-1016 was formed. Collieston & Slains SWI’s Co-operative entry to Ellon Bulb Show on Saturday 14th March was awarded “Highly Commended”. 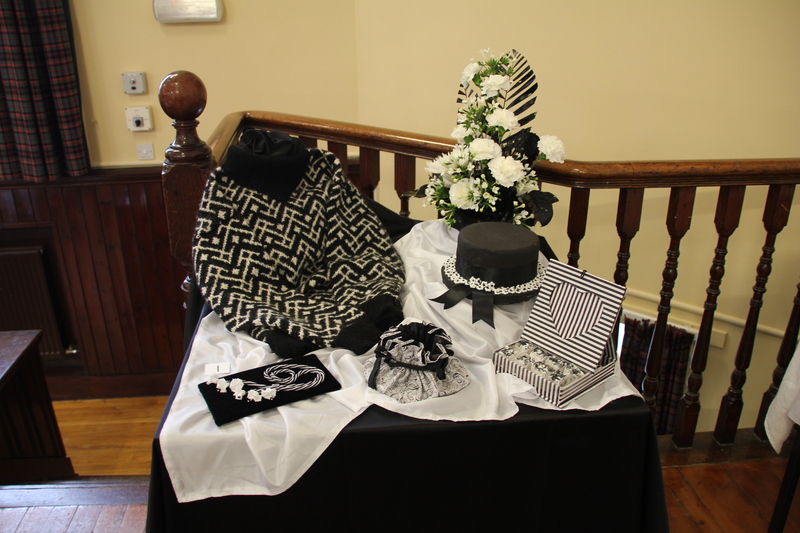 The theme of the show this year was Black & White. There were six individual categories to be completed by Institute members. The show was well supported by the 9 WI’s in our Group. Several members also received prizes in the various individual categories. The next meeting of Collieston and Slains WI will be held on Monday 9th March at 7.30pm in Collieston Community Centre. Our guest speaker this month will be Lynda Page and she wil be telling us about the valuable work carried out by the CAB. Members will be displaying their skills in 9 topic areas as we produce our annual Mini Show. Prospective new members are most welcome to attend. 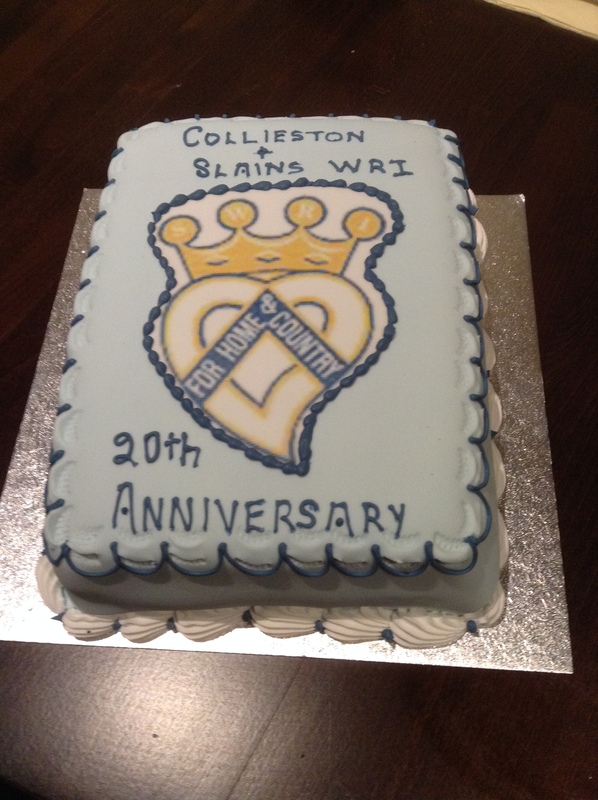 The ladies of Collieston & Slains SWRI met at the Newburgh Inn on Wednesday 25th February for a special dinner to commemorate their 20th Anniversary. After enjoying a delicious meal a small presention was made to former President May Irvine and current Press Secretary Alison Allen. 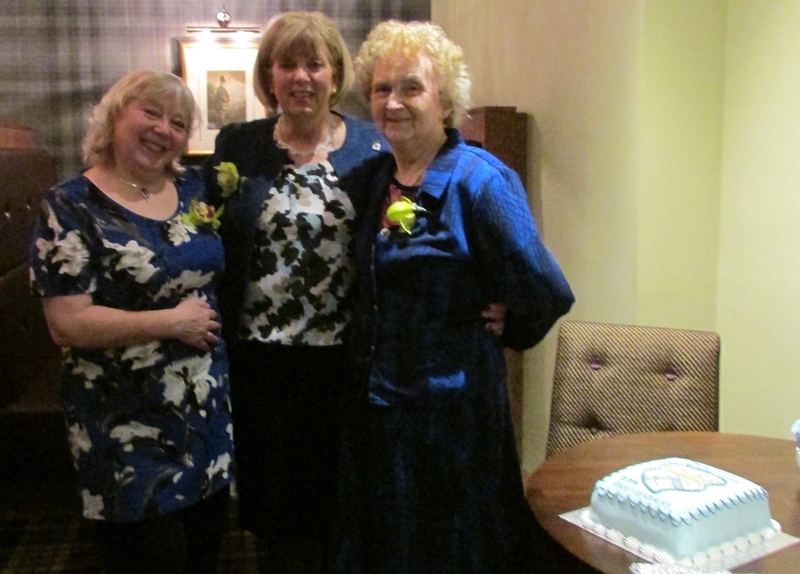 The anniversary cake was cut by Mabel Irvine, attended by President Carol Proudlock and Treasurer Gail Procter. The ladies of Collieston & Slains SWRI were pleased to welcome Pete Smith and villagers to their February meeting. Pete gave an interesting and thought provoking presestation on the subject of ‘Climate Change’ The evening was rounded off with delicious refreshments provided by the hostesses for the evening. Many thanks to Pete and to the villagers who joined us.